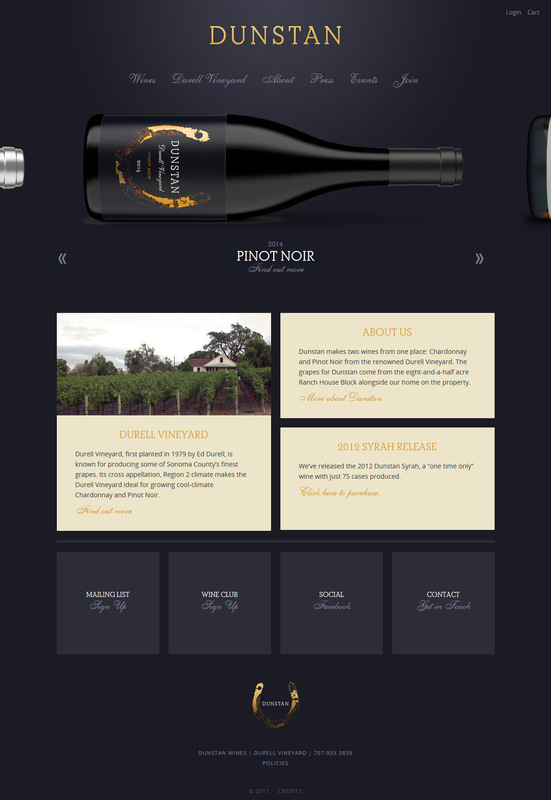 Dunstan is an estate brand sourced from the Ranch House Block of the highly acclaimed Durell Vineyard in Sonoma. 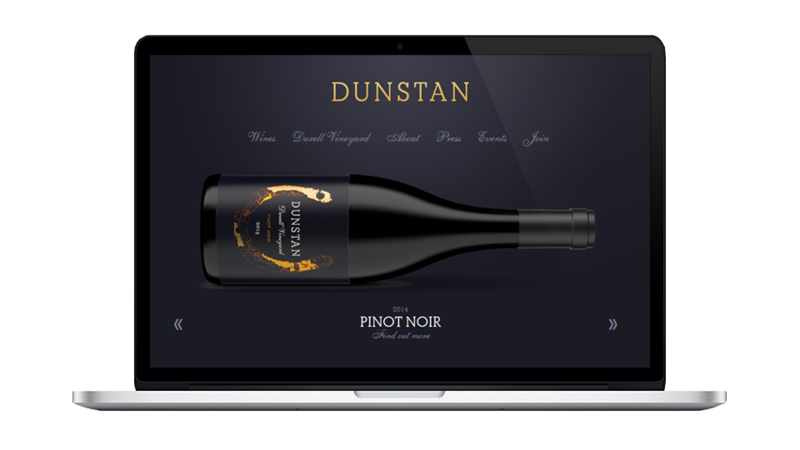 Dunstan produces hand-crafted Chardonnay, Pinot Noir, Rosé, and Syrah of exceptional quality and character. Present Dunstan as contemporary, refined, rooted in the earth, with a rustic aspect and appreciation for farm life. Tell the story of the people and vineyard behind the wines in a way that engages and inspires. 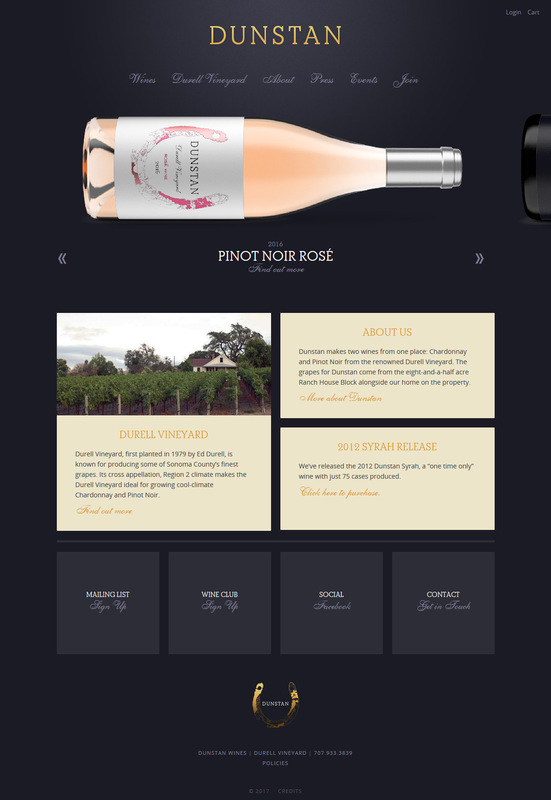 Facilitate online sales and mailing list sign ups through VineSpring’s ecommerce platform. Appeal to a wide audience who appreciate authentic high quality wines, primarily mid- to upper-income in California and across the country.